Did you know that as many as 81% of customers research purchases online before deciding to buy?1 That means 8 out of 10 people want to look up a product, see pictures, and read information about items they're considering buying before they even walk in your door. 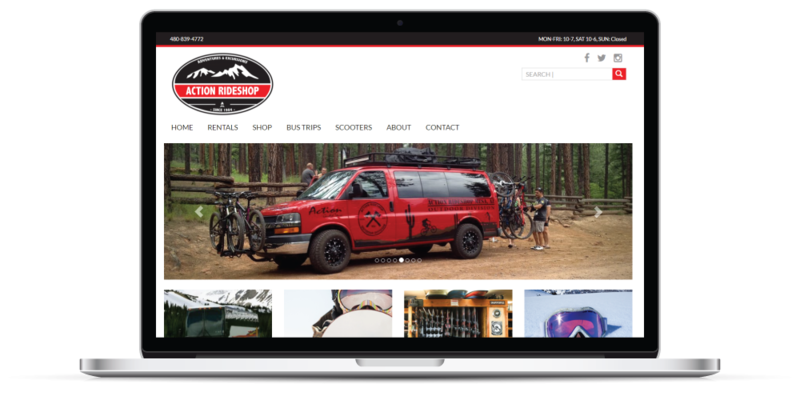 So if you don't have a website that showcases your inventory, you're missing the opportunity to sell them your product. Here are some best practices to make sure your website leads them through your door. Posting your inventory online (and keeping it in sync!) lets consumers know you have what they're looking for. Putting your product inventory online isn't so much about selling online, as attracting local consumers to your door. Icing on the cake: 56% of the time they want to know what else is available at the same store,4 which gives you the opportunity to upsell related products and services they might be interested in. 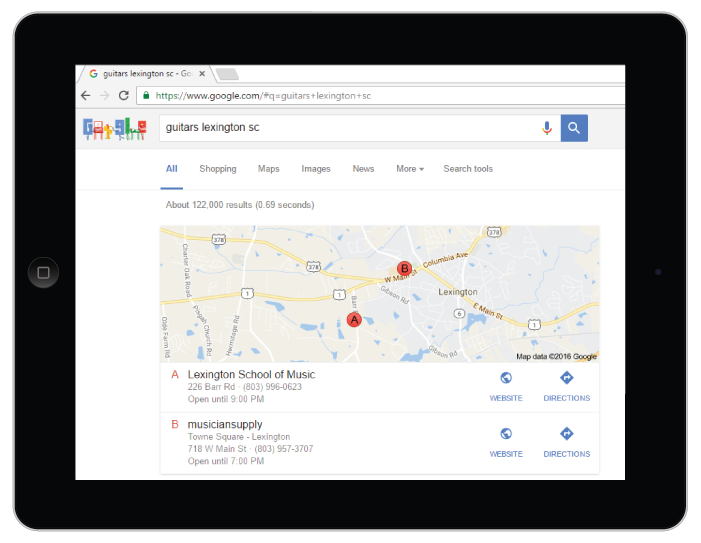 When people find your products online, 63% of them want know how to find you and how to contact you if they have questions.5 Put your address, phone number, and business hours in the website header and/or footer. It's important to put the information in text format so Google can crawl it. If you leave the information in a logo or other image, Google can't index it and mobile users won't be able to access it very easily. You should also include a search box which indexes your content pages, products, and services so users can educate themselves about what you have to offer. 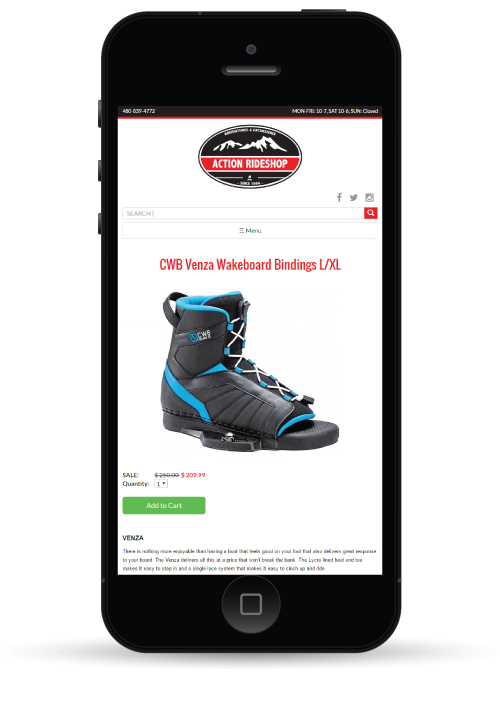 Put your best foot forward with good product images and descriptions. The more content you provide, the more information search engines have to work with. Search engine optimization (SEO) revolves in large part around matching content from your website to the words and phrases people are searching for. Phrases like "high quality waterproof hiking boots for women" are more descriptive and helpful than just "shoes" or "boots," and will result in better matches for what your customers are looking for. So if your site doesn't look good on mobile phones, potential customers will bounce and find what they're looking for on a website that doesn't frustrate them. 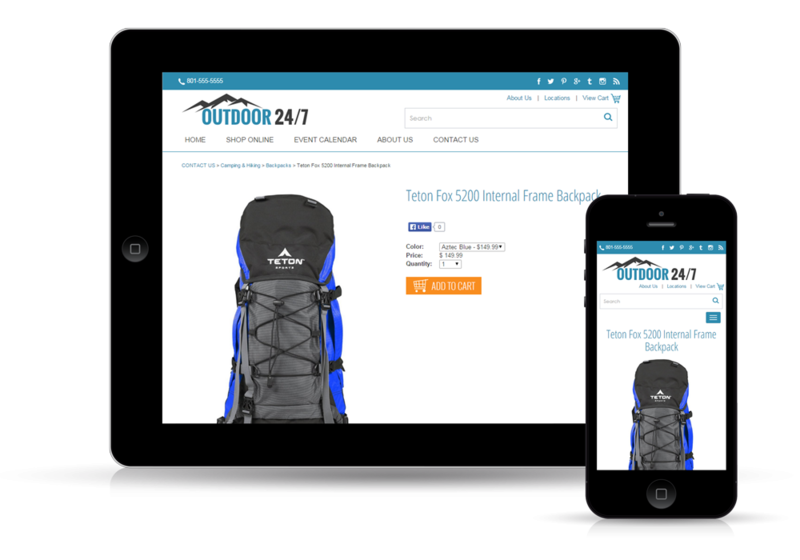 To make your site look good on mobile devices, make sure it's responsive. This means the content on the page reponsitions and resizes according to screen size. Use this tool from Google to see if your website is mobile friendly.